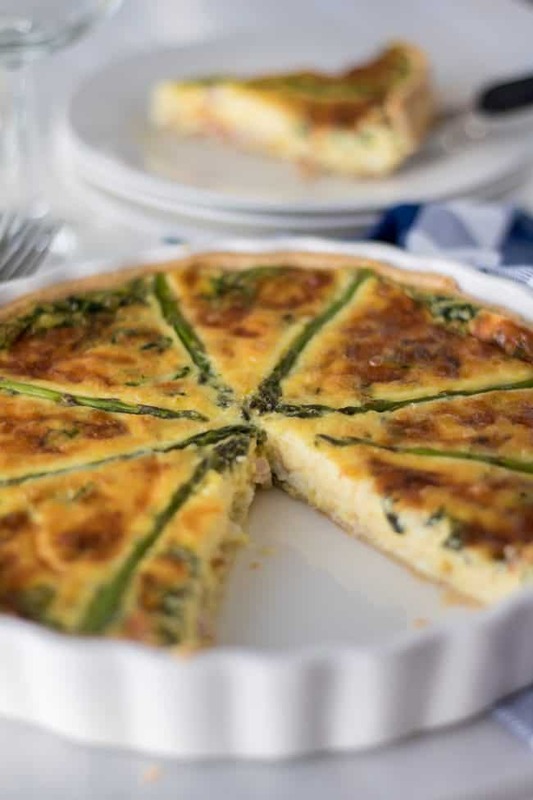 This Fresh Asparagus Quiche Recipe is downright luscious. There are literally never any leftovers at our house. 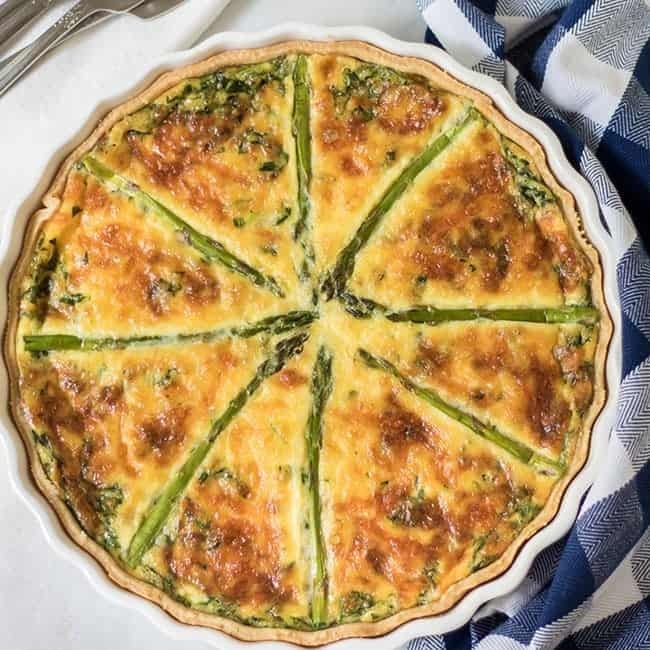 Asparagus Quiche is so versatile, perfect for everything from weeknight dinner to brunch with guests. This asparagus quiche recipe is one of my family’s favorite quiches and is easy and quick to make. This dish is warm and delicious, and perfect for a simple meal during the week. There seems to be a notion that quiche is complicated. But it is a very forgiving dish that can be prepared in 45 minutes or less – more than half of that is just cooking time. Though asparagus is in season in the US from February to June, you can find it in any grocery store year-round. So this is an easy quiche recipe I pull out all year long. Quiche, in my humble opinion, is one of those dishes that can turn kitchen staples into something fabulous. 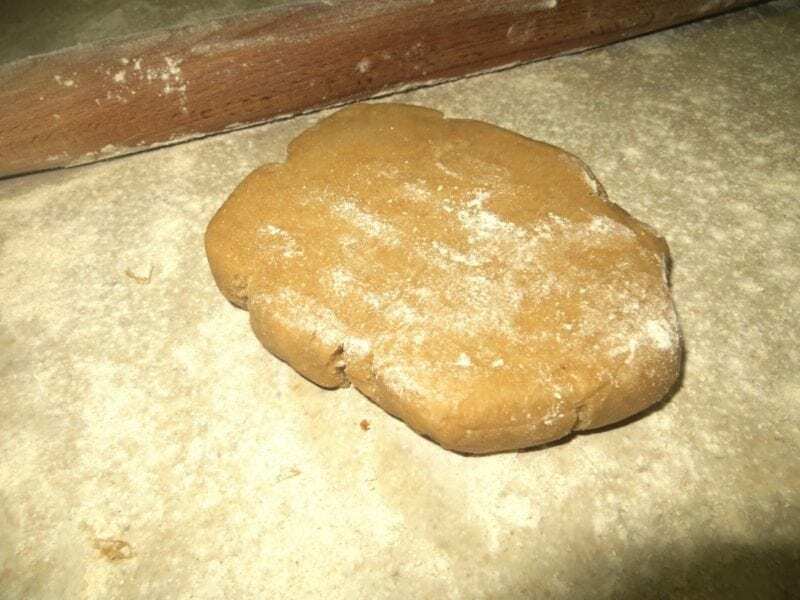 The whole wheat pie crust can be made ahead of time, or you can purchase a whole wheat pie crust from the refrigerated section of your grocery store. I will never tell. When I make pie crusts at home, I tend to make several at a time and freeze them so I can cut out that step on weeknights! 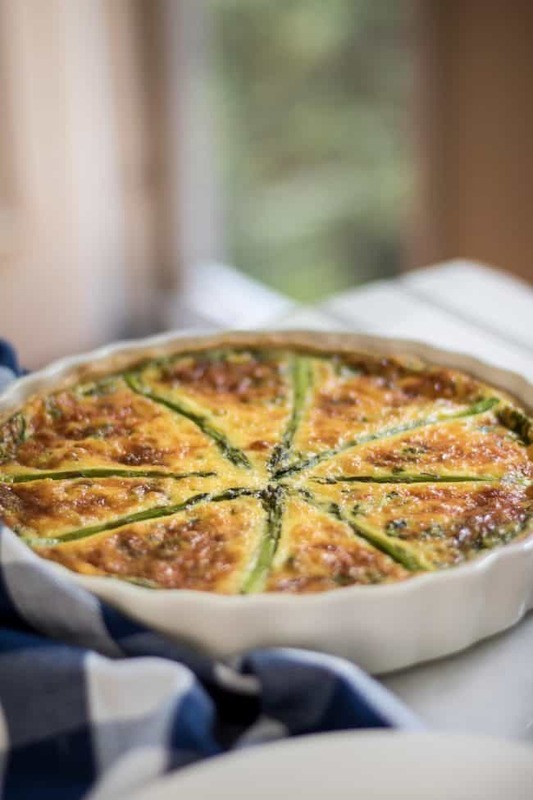 If you think the green veggies won’t fly at your house, rest assured, the quiche is not only tasty, but it has plenty of savory cheese baked into the layers of asparagus and flaky crust. With a house full of kids here, we love the model of introducing something new along with something the kids already love. 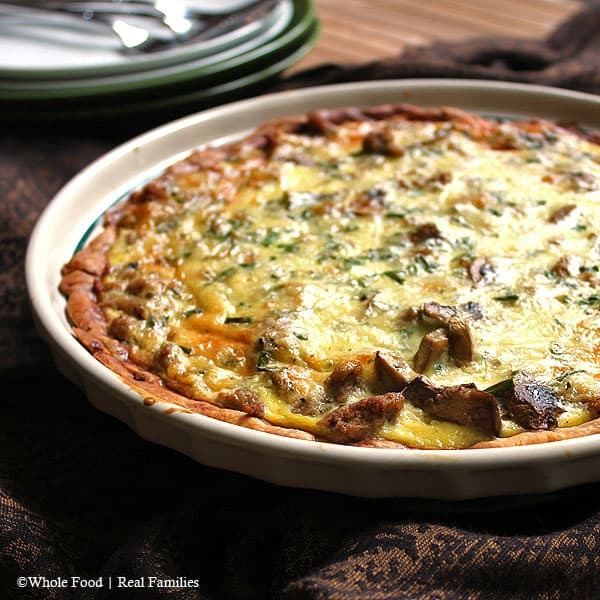 Looking for more Quiche Recipes to Love? This Sausage Mushroom Quiche is our go-to quiche. It is a bit simpler to make and uses regular milk instead of cream. If you are making your whole wheat pie crust or using a prepared pie crust, cook it according to the crust directions and set aside. Saute the shallots with the butter, allow to cool. In a bowl, whisk the heavy cream, eggs, and salt. Add the shallots, ham, spinach, and cheese in with the egg mixture. Pour it over the dough. 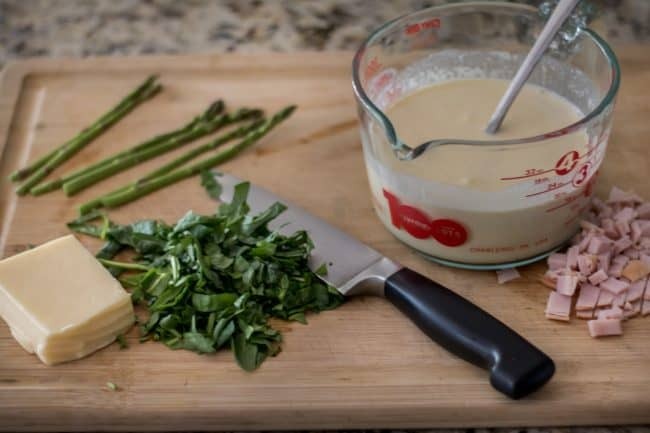 Arrange the sliced asparagus on top of the mixture. Bake for 30 to 35 minutes or until it's golden brown and a toothpick comes out clean. Allow to sit for 10 minutes before serving. 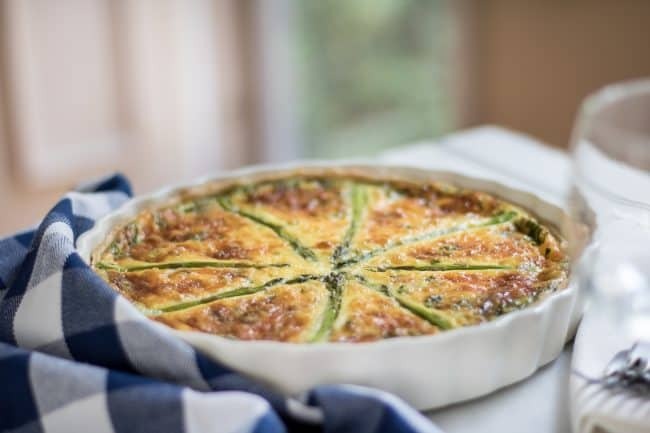 Cynthia, thank you for this delicious asparagus quiche recipe. I had a few bunches of asparagus i bought on sale but didnt quite know what i wanted to do with them. This recipe was so tasty and filling. I did substitute the heavy cream for regular milk cause i didn’t feel like going to the store lol, but it turned out just fine. In fact i made another one after and gave it to a friend who just had a baby and could use a nice meal without having to do the work herself. Thanks again, im sure this will be my new go to recipe when i have “any” veggies that i dont know what to do with!